This is the year to “take back” Christmas. This is the year to teach kids that Christmas exists because of Jesus, not Santa. This is the year to teach kids that Christmas should be a celebration of faith & family, and not just a gift exchange. This is the year to help kids really LEARN the story of our Savior’s birth. This is the year for the children of your church to lead their families in shifting their holiday priorities. 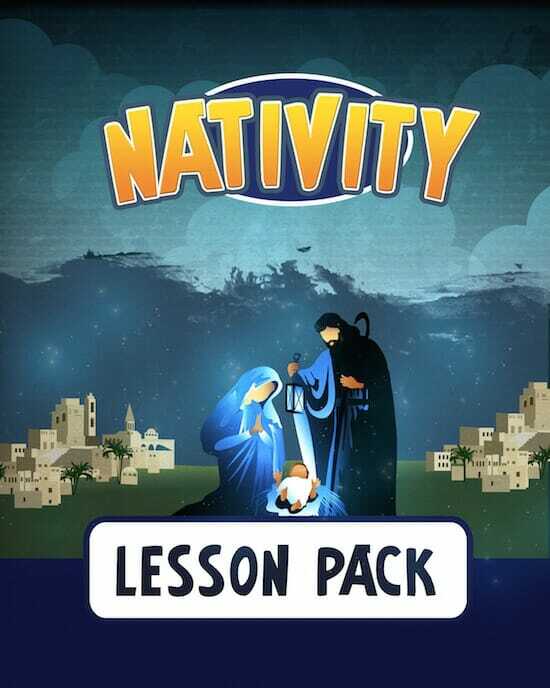 This lesson pack is designed to help young minds better understand the complete Nativity story. It's time for kids to move beyond thinking of Christmas as just "Jesus' Birthday", and realize how miraculous and special the events surrounding our Savior's birth were. Each lesson is accompanied by reinforcement activities that will help students understand Christmas in ways they won't forget! The 1-hour lessons can be given one after the other as a month long module in a Sunday School setting, or can be used by families on their own at home. In short, you get everything you need to teach kids about the Nativity. Three sets of questions are presented with each lesson. The Discussion Questions will help students see the details of what actually happened and also how the stories apply to them — 2,000 years later! These lookups invite kids to discover answers to the discussion questions IN their Bibles. Each lesson includes a craft to help reinforce the topic- the only supplies you will need will be out printable templates, crayons, scissors, and stick glue! We provide easy yet tasty snack ideas that are designed to tie into each lesson. We provide a wonderfully entertaining (& meaningful!) skit for the kids to casually read from & perform. There are four scenes, one for each lesson! 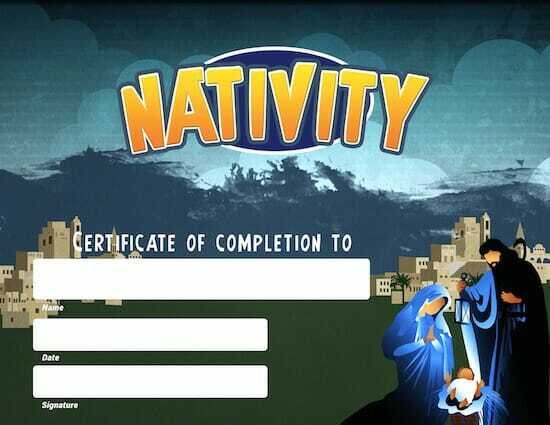 Use our printable 8.5 X 11 certificate to award students upon completion of the Nativity Lessons. 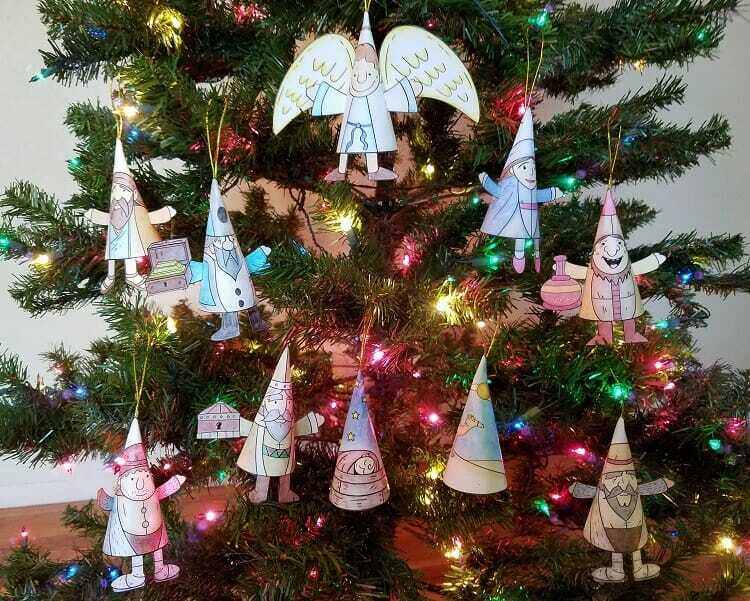 We've included a complete set of Cut & Color Nativity Ornaments! 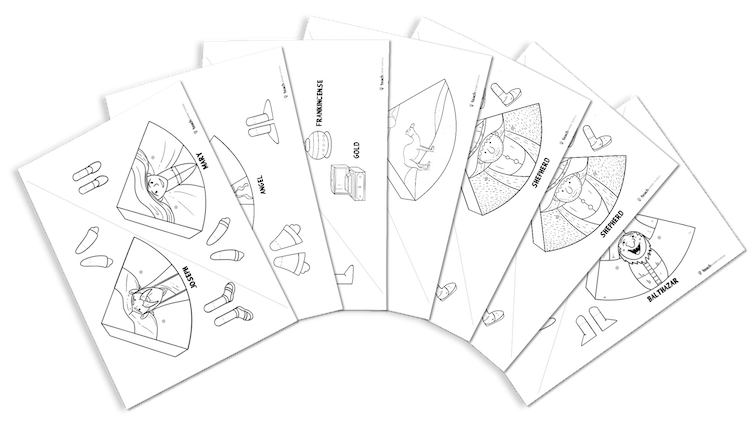 Simply print out the templates on standard 8.5 X 11 paper and have the kids color them in, cut them out, and easily assemble into adorable "cones" with tape. This is the kind of keepsake that encourages the discussion of the Nativity at home and brings joy for years to come! You can print out as many copies of the templates as you need- year after year! Nativity Ornaments as You Need! 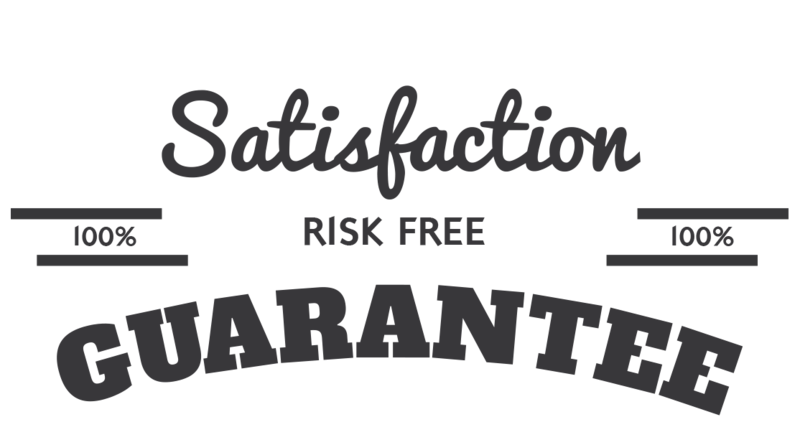 That’s right, we are so sure that you will love the Nativity Lesson Pack that we are offering an unconditional 100% money-back guarantee. On the one hand, we love our scented holiday trees, twinkling lights, yule logs, candles, carols, cookies, Christmas dinner roasting in the oven, and watching our children open their gifts with excitement. On the other hand, many of us suspect that Christmas has become materialistic to a degree that it cannot be pleasing to God. We can reverse the materialism momentum this year. It's time to take Christmas back! This Nativity Lesson Pack puts Jesus back in the spotlight. YES, I want in! I want access to the "Nativity Lesson Pack". Please give me INSTANT access right now!